Five per cent of children and three per cent of adults suffer from food allergies. 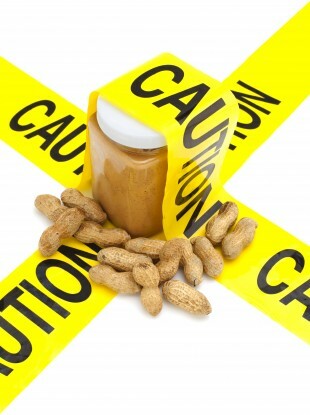 Peanuts - one of the 14 food allergens that must be clearly labelled on products. FOOD ALLERGIES, INTOLERANCES and the sometimes serious health problems that can result from them are set to be discussed this coming Friday at the National Education Conference on Food Allergens and Contaminants. The number of people with food allergies and intolerances here is increasing, according to the Food Safety Professionals Association (FSPA) who are organising the free event. The conference is aimed at those who are involved in Ireland’s food industry. For many individuals, food can be a source of chronic illness. The number of people with food allergies and intolerances is increasing rapidly in Ireland, which means that there can be an immediate health risk if education and cross contamination measures aren’t taken across all food sectors. If you look at the levels of people with intolerances, at the moment it’s one in five with a food intolerance. One in 100 Irish people are coeliac, and there’s an awful lot of food that these people can’t eat. “Five per cent of Irish children have allergies,” Oman says. In adults, it’s slightly lower, at three per cent. Sulphur dioxide, a preservative, is added to a wide variety of foods, where it is used to extend the shelf-life of products. Oman believes that this preservative is finding its way in to more and more everyday products. A huge amount of preserved food and even things like sausages and burgers can have this preservative in it, and if you look at the way we shop nowadays, we buy an awful lot of convenience food. From a consumer point of view, and I think in younger generations particularly, a lot of the skills of cooking fresh food is not there anymore. From the food industry point of view, we are looking to raise awareness of the importance of communication with the customers, the training of staff, and the huge importance of labelling. It’s not as good as it should be. Email “Food allergies are on rise in Ireland”. Feedback on “Food allergies are on rise in Ireland”.